NVIDIA and Bethesda Softworks have teamed up to bring you an amazing Fallout® 4 experience. 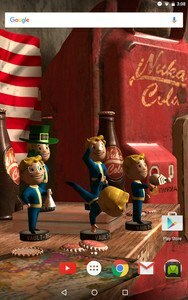 In celebration of being able to cast your Fallout® 4 game to NVIDIA SHIELD, NVIDIA designers developed this live wallpaper and made it available for Android and SHIELD users. 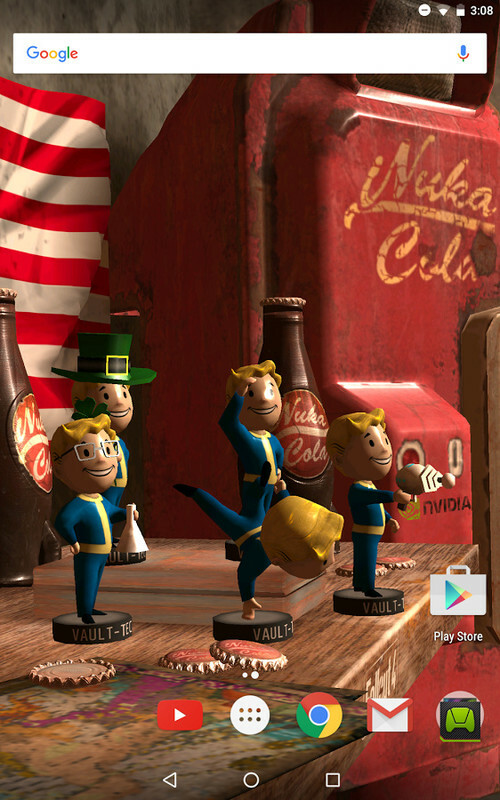 The Fallout® 4 Live Wallpaper allows users to host a set of bobble heads on their devices’ splash screen. 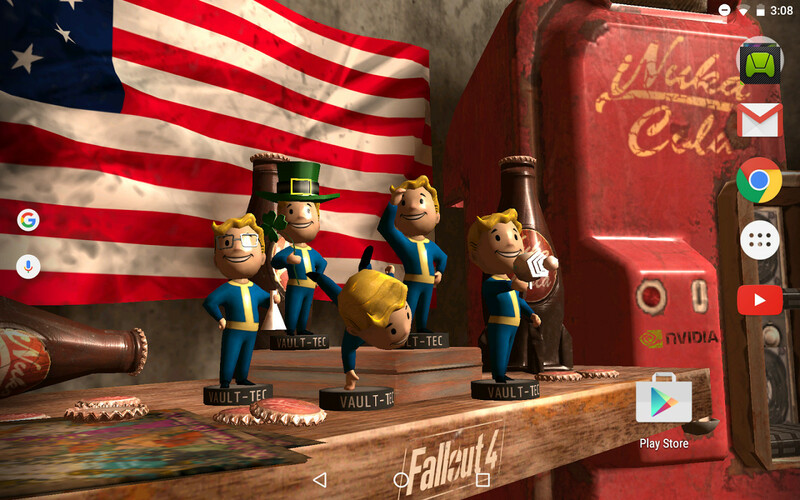 The Live Wallpaper allows users to bop their bobble heads to make their heads wobble back and forth or even tilt their device to allow the heads to tilt along with it. Using the settings screen, users can set which 5 bobble heads they would like featured on their device. Users can choose from 20 different Fallout® 4 bobble heads including Sneak, Melee, Luck, Agility, and the ever popular Explosive bobble head. The Fallout® 4 Wallpaper is best played on the NVIDIA SHIELD tablet K1. 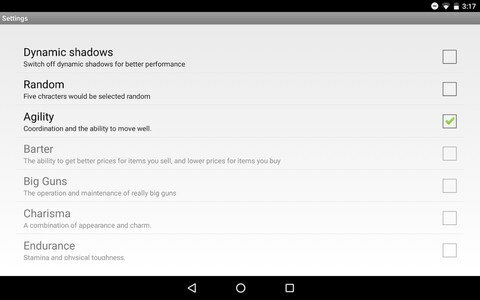 The K1 allows an additional feature of setting dynamic shadows within the application. This is Fallout® 4 – The Way It's Meant to be Played. © 2016 NVIDIA Corporation. NVIDIA, the NVIDIA logo, GeForce, GTX, NVIDIA GameWorks, SHIELD, and NVIDIA GameStream are trademarks or registered trademarks of NVIDIA Corporation. All Rights Reserved. © 2016 Bethesda Softworks LLC, a ZeniMax Media company. Bethesda, Bethesda Softworks, Bethesda Game Studios, ZeniMax, Pip-Boy, Vault-Tec and related logos are registered trademarks or trademarks of ZeniMax Media Inc. in the U.S. and/or other countries. Fallout, Vault Boy and related logos are trademarks or registered trademarks of Bethesda Softworks LLC in the U.S. and/or other countries. All Rights Reserved.